The Marque is great! It is tight and entertaining. I’m a sucker for tentacles and aliens. It is sci-fi/horror with a touch of western style. When I started reading this short story, news outlets were reporting on a UFO video. Coincidence? I think not. The Marque is set in the near future. The world has fallen beneath the rule of alien invaders. The aliens wipe out the technology infrastructure. The remnants of humanity are divided into two camps: those who resist, and those who serve. Bastion leads a resistance cell. Darrel Fines serves the Marque–he’s also a Benedict Arnold. The aliens are vicious and wicked. They turn humans into slaves. The aliens set up “breeding farms” as well. Humanity is at the lowest rung of the new world order, and resistance is their only chance of survival. MPH can write! With this short story being only 57 pages, MPH delivers a great read. It is a quick read, but the scenes make it feel like a full-length novel. MPH unpacks a great amount of detail in so little time–this makes the story even better. The scenes are evocative. The characters are authentic and believable. The storyline is fluid. 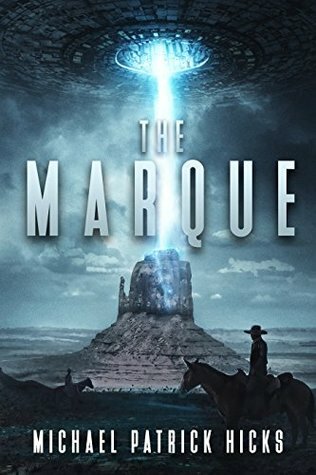 Overall, The Marque is a great story.